1. Chances are if you are a living, breathing human you’ve seen a Shen Yun ad at some point in your life. Shen Yun is a performative show of music and dance showcasing Chinese culture. Here’s the official description from their website. Shen Yun weaves a wondrous tapestry of heavenly realms, ancient legends, and modern heroic tales, taking you on a journey through 5,000 years of Chinese culture. Its stunning beauty and tremendous energy leave audiences uplifted and inspired. 2. Well as it turns our everyone everywhere has seen the ads as well. 3. They appear to be at all places at all times. 4. 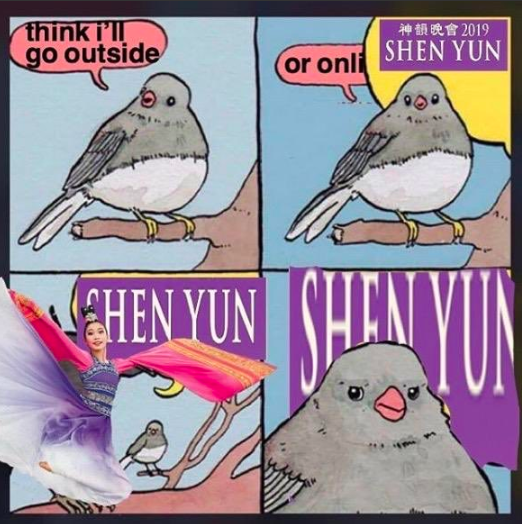 So the internet being what it is made memes emphasizing Shen Yun’s omnipresence. 5. Like this combo Andy King/ Shen Yun gem. 6. Or this iPhone lock screen. 7. Resident Evil even got the Shen Yun treatment. 8. The memes are everywhere. 9. Shen Yun ads can even travel through time! 10. They are in your favorite cartoons. 11. They are even in your home. 12. Fan theories have even sprung. Like this one claiming Shen Yun ads are the unseen entities in Bird Box. 13. There is no escaping them. 14. 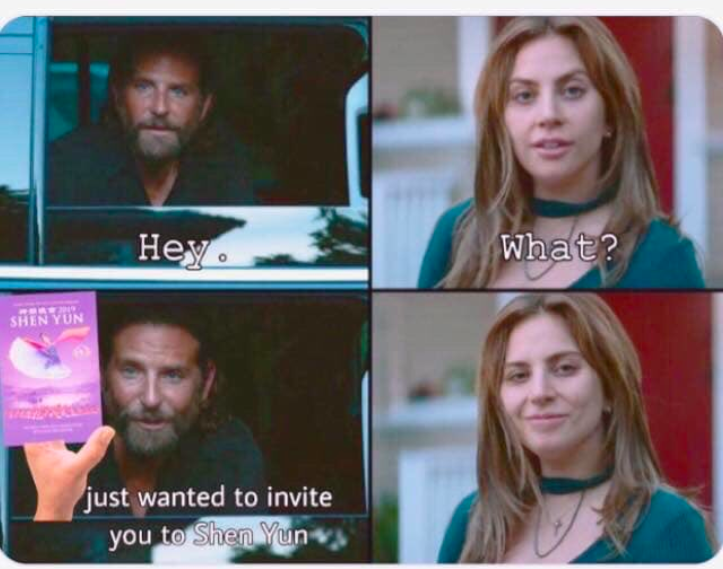 A Star Is Born is even included in the memes. 16. Shen Yun is everywhere. 17. People seem to agree that literally, everyone has seen the ads at some point. 18. So no matter who you are. 19. No matter what you do. 20. No matter where you are. 21. Shen Yun is there as well.